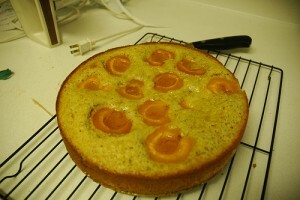 Pista Cake recipe by Nazia Nazar at DesiRecipes.com. Cream the ghee till white, add sugar, and mix well till fluffy. Add yolks, one at a time, beating well after each addition. Stir in semolina and when wellmixed, add the pistachio paste. Lastly fold in wellbeaten whites to which some green colouring has been added. Mix well. Pour into a shallow greased baking pan. Stand for half an hour. Bake at 350C for approximately 30 mins. or till done. Cut into pieces when cold. Wow, looks delicious, sounds quick and easy to make. Thanks for sharing.